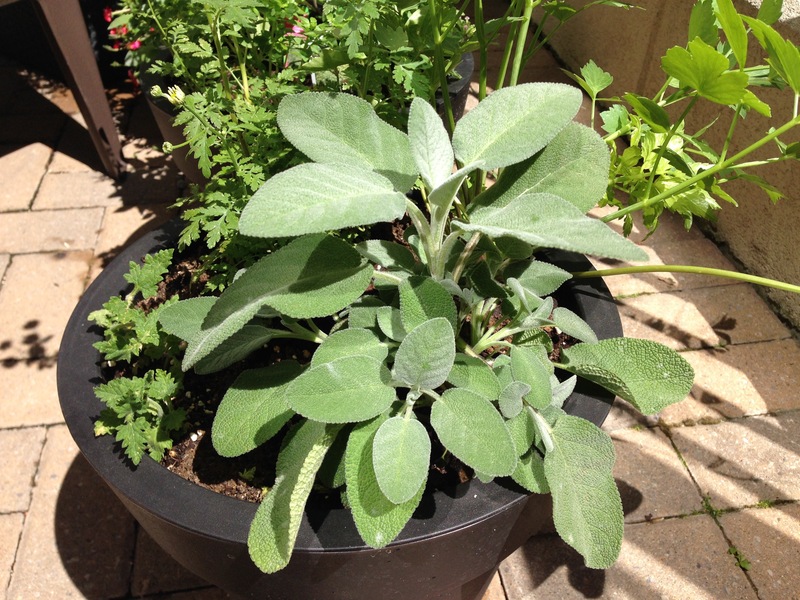 Sage is a hearty flowering herb (I easily grow on my terrace as pictured above) with powerful regulatory and cleansing properties. Its chemical make-up is similar to Lavender, but its pure essential oil should be used with care. In this case, I pair fresh sage and raw organic honey for a clearing and warming and candy-like tasting herbal tea, effectively cleanses, soothes and is antiviral. Place chopped sage in a tea infuser or tea ball. IF you don’t have a tea infuser or ball, steep in a cup or teapot and pour through a sieve as needed. I like to chew on the slightly sweetened steeped herbs anyway. Place the tea infuser in a cup large enough to fit the water prepared. Pour boiling water over the infuser. Let steep for 10 minutes covered. Add your honey after 10 minutes. If adding the lemon peel add now. Stir your tea, allow to cool appropriately before enjoying. Caution: Herbal teas can be powerfully therapeutic and as such, should not be given to children unless monitored by a guardian and their consumption by both children and adults should be done in moderation. If using Rosemary, do not consume more than once a day, for a few days maximum.